Baby showers, thrown when the mother is due to expect and full-month parties, thrown when the new bub is a month old, both attended by and planned by either yourself as a new parent, or by friends and family members who love you dearly. Whether you’re the parent frazzled by the party planning or the friend arrow-ed to do the planning, to ease your headache for the logistics, here are some affordable baby shower venues in Singapore! Tickle Tickle has 2 children’s indoor playgrounds for you to choose from! At DELTA SPORTS HALL, their Candy Land theme with bright colours of ice cream, lollipops and candies are loved by all the kids. The four theme houses (home, cafe, supermarket, workshop) with lots of pretend play toys for each house are hot favourites for all children. Look out for the cars, ride-on, train set and more toys. Kids will have a blast of a time! At HOUGANG SPORTS HALL, their Cartoon Village theme gives a refreshing feel to the urban jungle we live in. The kids will have an great adventure exploring all the obstacles. The pretend play toys and houses will just be little props in the children’s extensive imagination! If indoor playgrounds aren’t your thing, SAFRA has a whole host of function rooms for you to comfortably have your party! If you are a Singaporean, you know SAFRA has many kinds of ballrooms or function rooms to accommodate many different numbers of guests. For one, book their poolside party room! A comfortable room, a pool right outside and surrounded by people you love, perfect atmosphere for a party. 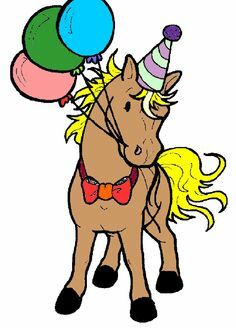 If your party is held over the weekends, consider having a private pony party to celebrate this special occasion! East Coast Park is one of Singapore’s most treasured urban getaways, offering an invigorating and exciting diversity of sporting, dining and recreational activities. With the theme “Recreation for All”, the park has an activity for everyone. Be it a barbecue or just running along in the sand, here’s a cosy place to gather friends and family to celebrate your baby shower. Celebrate your baby shower or full month party in hipster style! Vintage automobiles, retro curios, and three-generations old Thai-Chinese recipes (Kombi Rocks was formerly Koon Kee Restaurant) make for a neighbourhood jewel. It’s many things at once: a diner, a museum, a quirky vintage shop, and a vehicle rental company with a fleet of restored Kombi and buggies available for bookings!